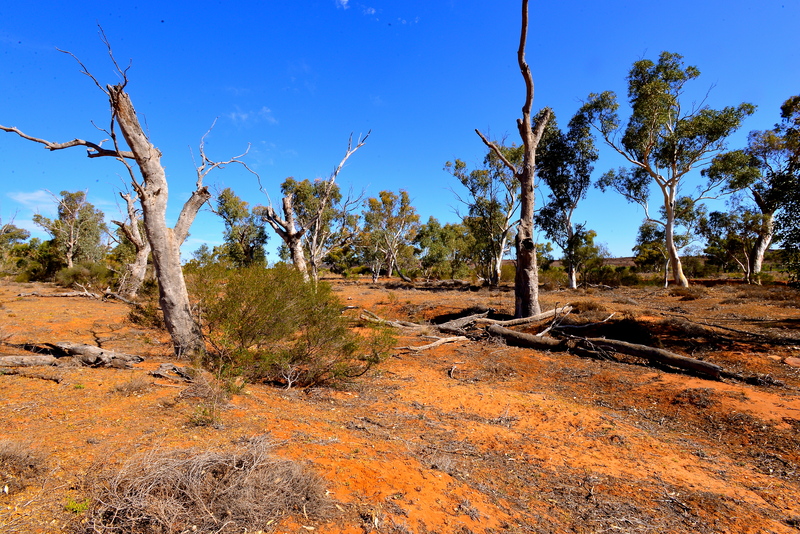 Colours of the Australian Outback. 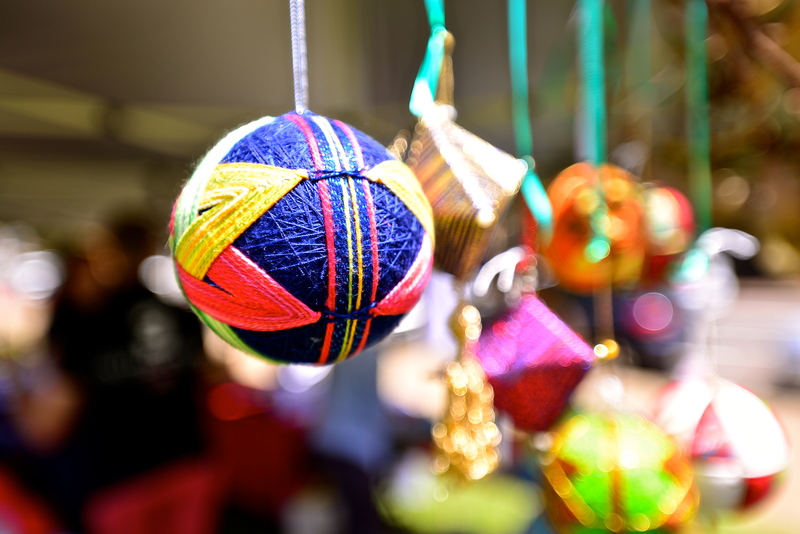 Temari is a Japanese art form that involves intricate weaving of fine threads and this wonderfully crafted example was offered for sale at Marion’s Artree. Recently, I wrote about the work that Janet and her sister Leah were undertaking to raise money for a research and support group for Meniere’s Disease and it culminated last week with a stall they ran in Leah’s hometown, Newcastle, a beautiful city the north of Sydney, at the Hunter Valley’s Art Society summer markets. 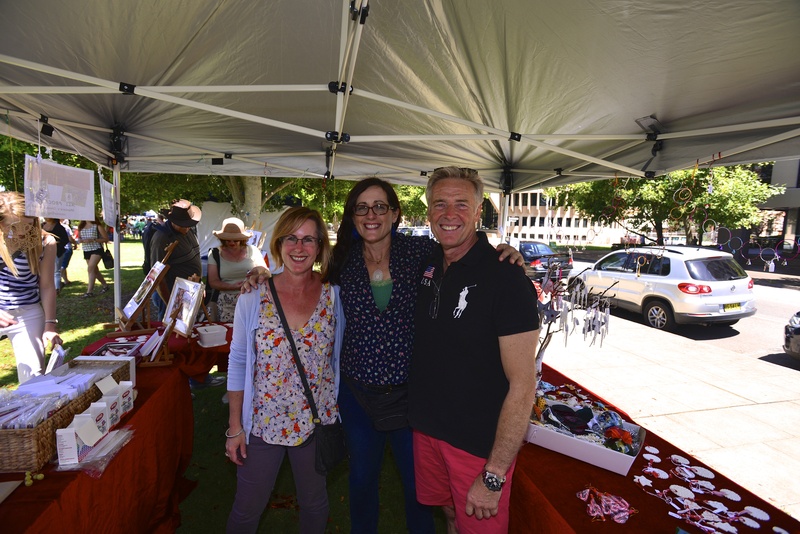 Marion’s Artree Stall was the most popular of all the stalls on the day and they raised a substantial amount of money that will now be donated to the Research Foundation that is working towards a cure for this disease. 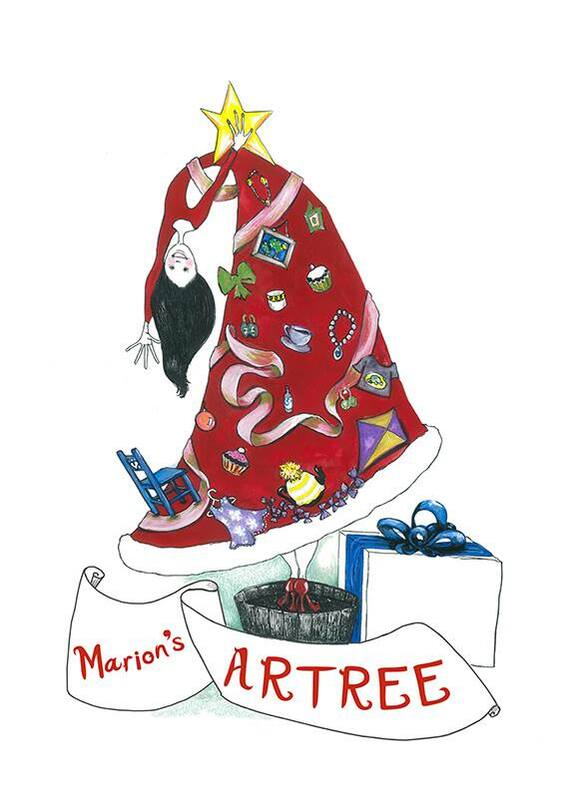 The local member of State Parliament, Tim Owen, spent time helping out the girl’s on the stall, and the local TV Station took an interest, which gave them some prominence to highlight what they are endeavouring to achieve with Marion’s Artree. And there were some lovely pieces of artwork that was donated by artists’ from all over Australia in support of this project. Bravo to the girl’s, what a great success! 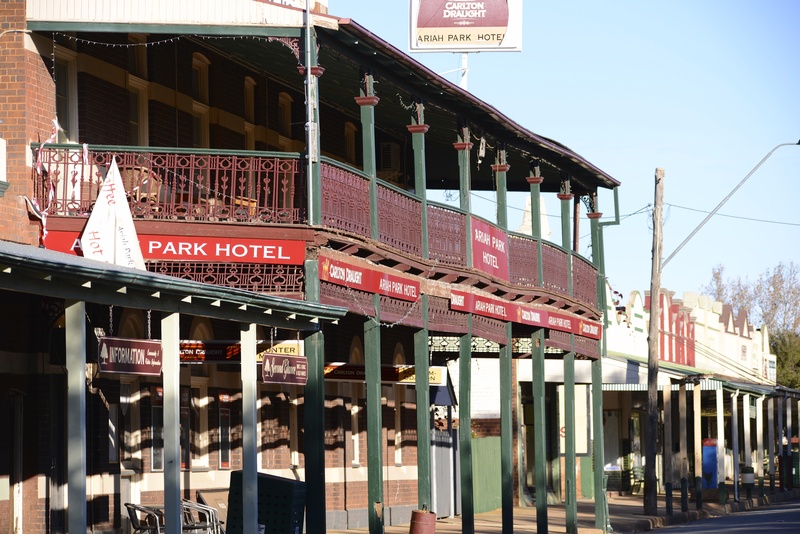 Australia has many outback towns that are full of charm, old buildings, magnificent pubs or watering-holes, and of course, just as many characters to fill them. There are also some hidden gems to be found, if you scratch the surface deep enough and spend the time to fossick around, talk to the locals who might be just willing to point you in the right direction. 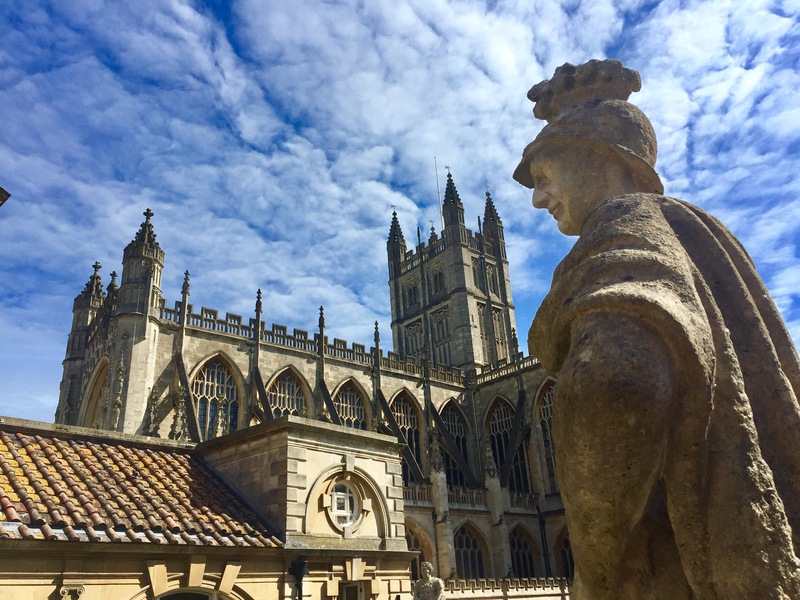 And you can bet there is always some healthy and good natured banter at the coming together of the city and country folk, especially if it is over a cold beer. It also has a great pub, The Silverton Hotel! It was with great anticipation that we drove The Landy into town a couple of weeks ago as it was the staging post for our travels into Mutawintji National Park. And speaking of characters, we were able to catch up with a local resident of The Hill, a man who oozed knowledge of the area and a passion for sharing it, over a cold beer of course! 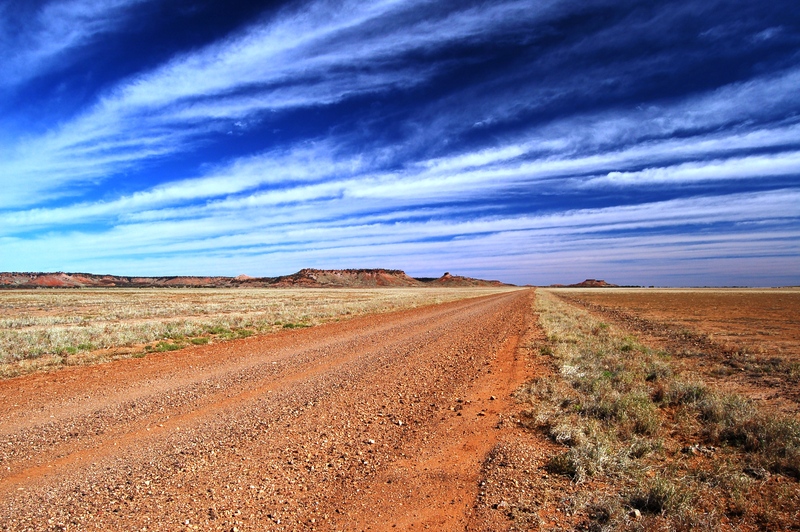 Dave Beharre was aware of a love I have of Broken Hill and the Corner Country region. Contacting me ahead of our visit, Dave offered information on places that we might find of interest, knowledge collected from the many years spent as a tour guide operating out of Broken Hill. 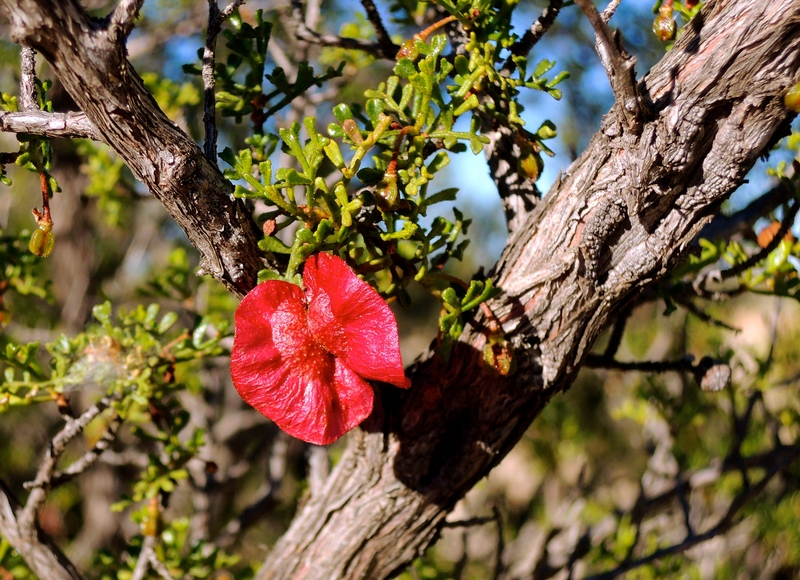 And talking about scratching the surface and finding a gem, we visited the Living Desert Reserve just outside of town and situated on a hill that provides majestic views over the harsh, but wonderfully beautiful countryside. 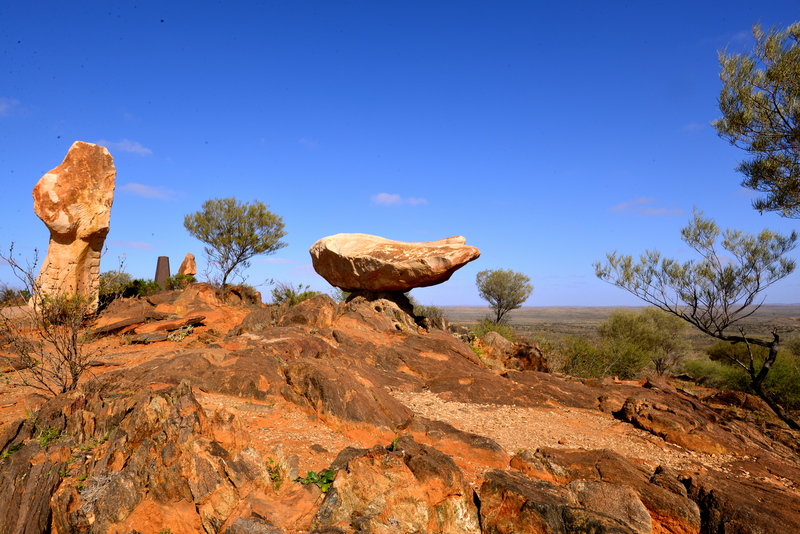 Country of the Wilyakkali People who traditionally occupied the lands around Broken Hill. The Reserve is set on 2,400 hectares of land and has a number of walking trails that you can traverse. 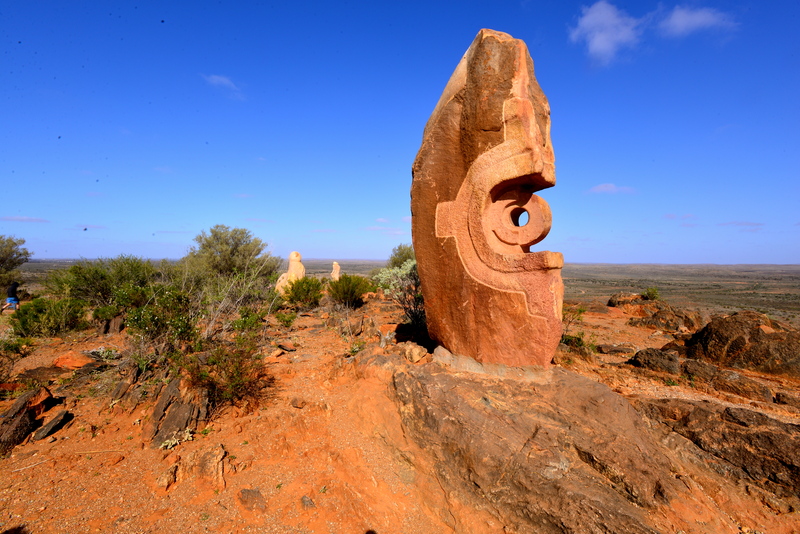 At its centre-piece, perched atop a hill, is a number of sculptures carved from sandstone rock, around 52 tonnes of it brought in from the MacCulloch Ranges, a range situated about 250 kilometres to the east of Broken Hill. The sculptures were completed in 1993 by artists from around the world in collaboration with Australia’s first inhabitants, the aborigines. 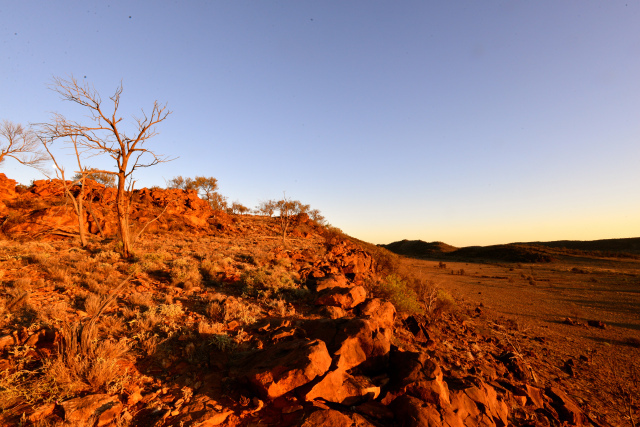 The story of the bringing together of all these different people and cultures, sculpting by day and at night, dancing and singing by the glow of a warm fire under a sparkling outback sky, and in tongues native to their own lands, is one that portrays a spirit of human co-operation. The sculptures include Nhatji – the Rainbow Serpent, Thomasina – the Water bird, the Bride, Motherhood, Moon Goddess, Tiwi Totems, and the Jaguar – Bajo El Sol Jaguar. The latter, a creation of an Aztec Sculptor from Mexico. Above all else, “The Hill” is a town full of endearing people – they are the real gems that you will find there!